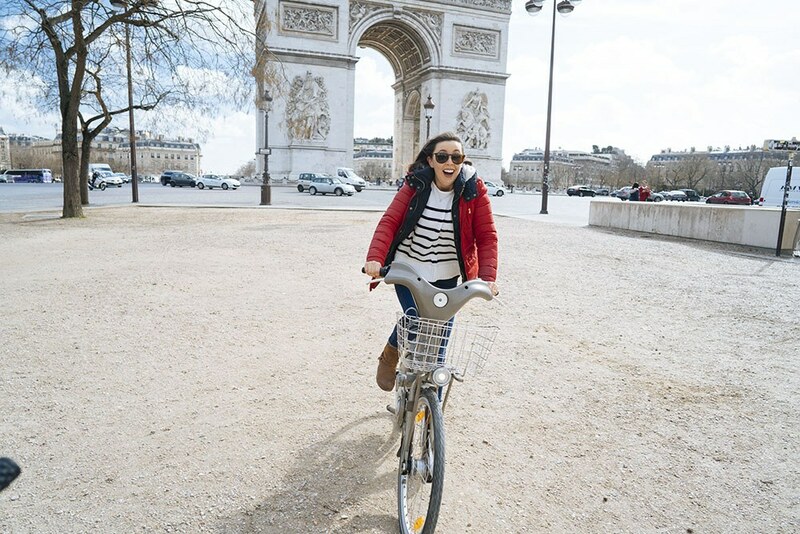 Learn how to use Velib, the cheapest bike rental Paris has to offer, and see the city of light on two wheels! 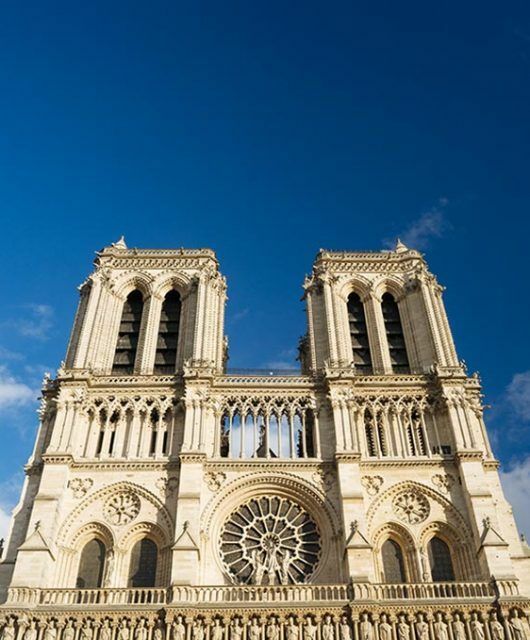 Paris is an incredible city to explore by any mode of transportation. 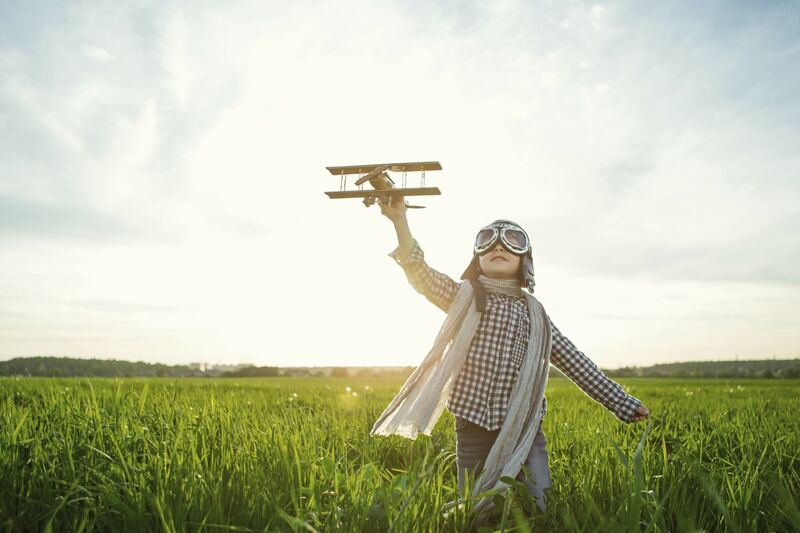 We love to walk, ride bikes, hop on the bus or metro, or take a taxi. There are plenty of options for getting around Paris, but I always recommend biking at least once in the city, just to have the experience! Wired named Paris one of the 20 most bike-friendly cities on the planet, after all. And it’s the mayor’s goal to make Paris the world capital of cycling by next year. 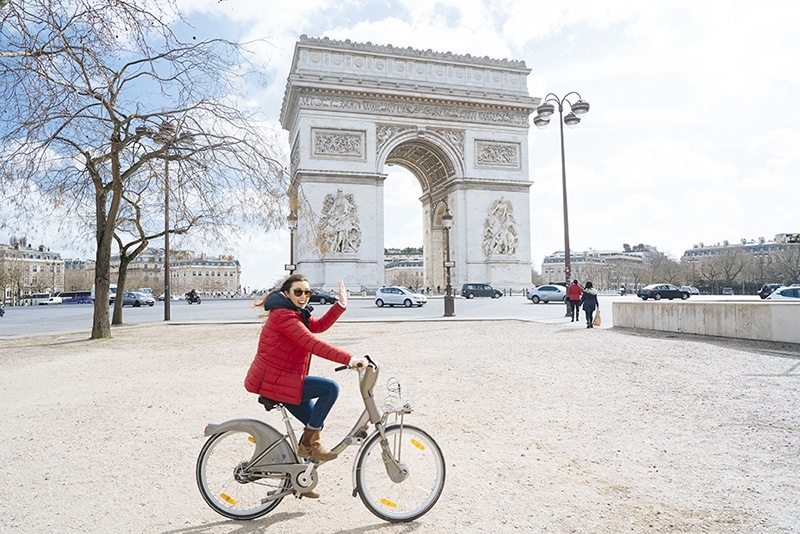 Many improvements have been made to the Paris bike share program, known as Velib, in the last few years, including the addition of new electric bikes. Paris really is a fun city to bike around. I’ve biked many miles around the city, and full disclosure, it can be a little scary. There are thousands of cars in Paris and I just won’t say anything about the drivers in France, but please be careful! Paris has a great bike share program called Velib, which offers standard and electric bike options. The service is easy to use and very affordable. 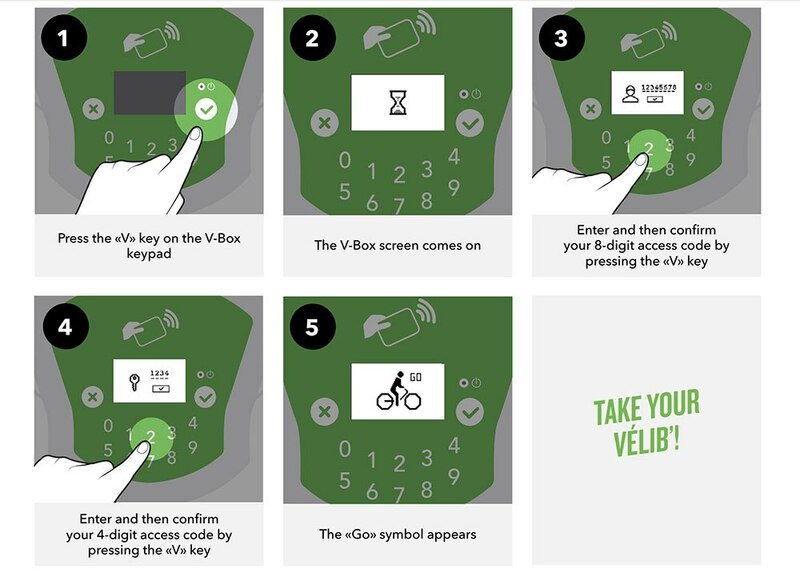 It can be a little confusing to know how to use the Velib program, so I’ve outlined how to use it step by step below. How much does Velib Cost? 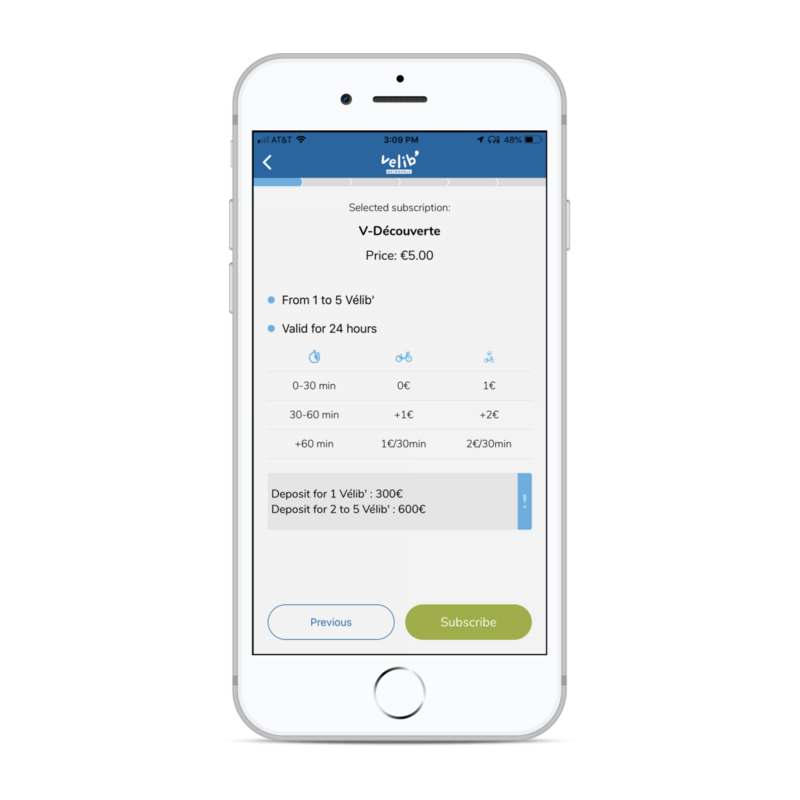 There are several subscription options, but unless you live in Paris, I recommend just getting the 1-day or 7-day pass depending on how often you think you’ll be riding. 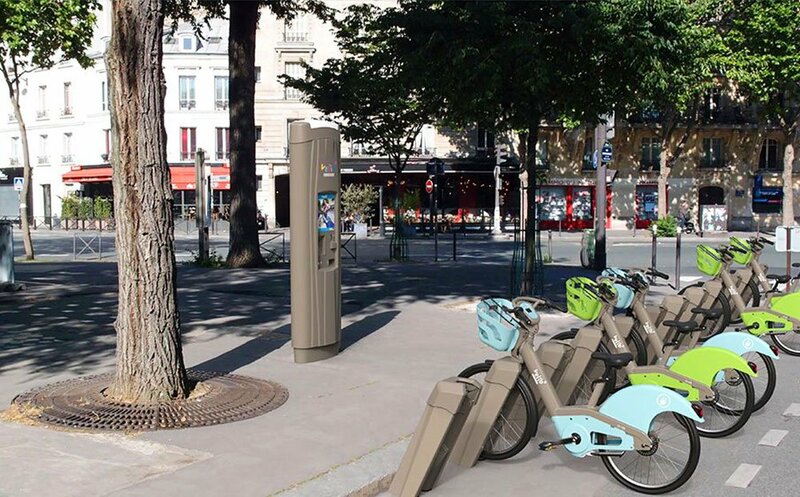 *Velib will put a hold on your card, just like a rental car company, that will be released once your ride is over. This is to prevent theft or damage to bikes. It’s not a big deal and releases quickly, just make sure you have room on your card and are aware of this. 1. 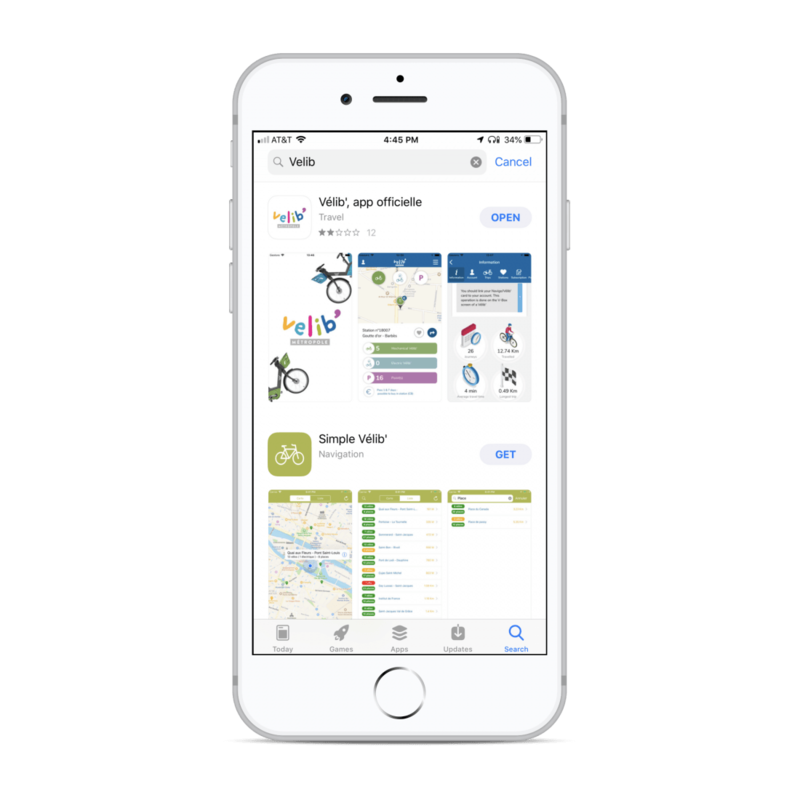 Find the Velib Paris app on IOS or Android and download it. 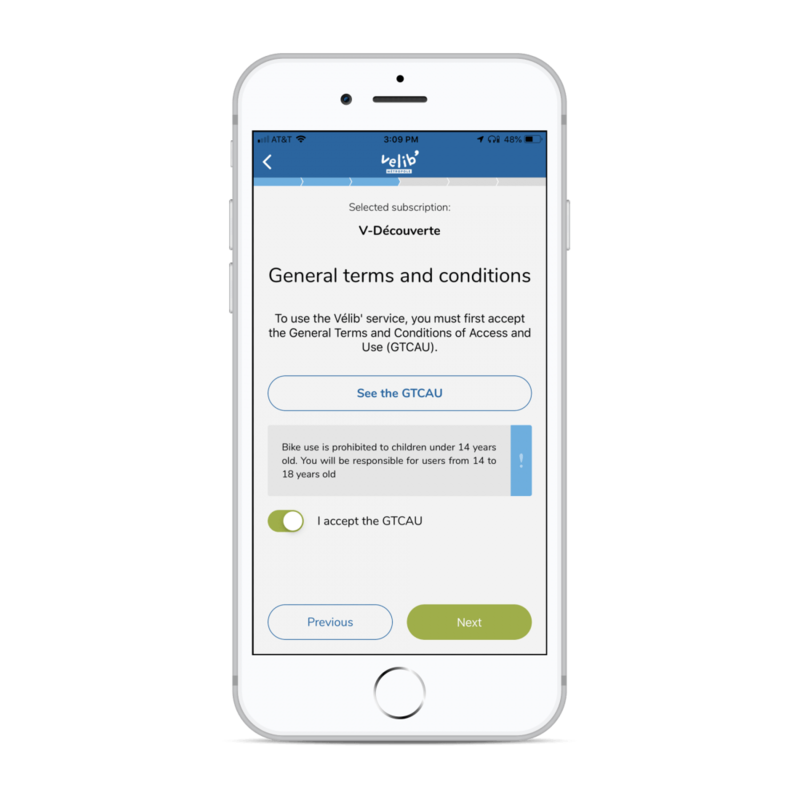 It is the one called “Velib’ app officielle” If you’re on a desktop you can sign up on the Velib website here. 2. 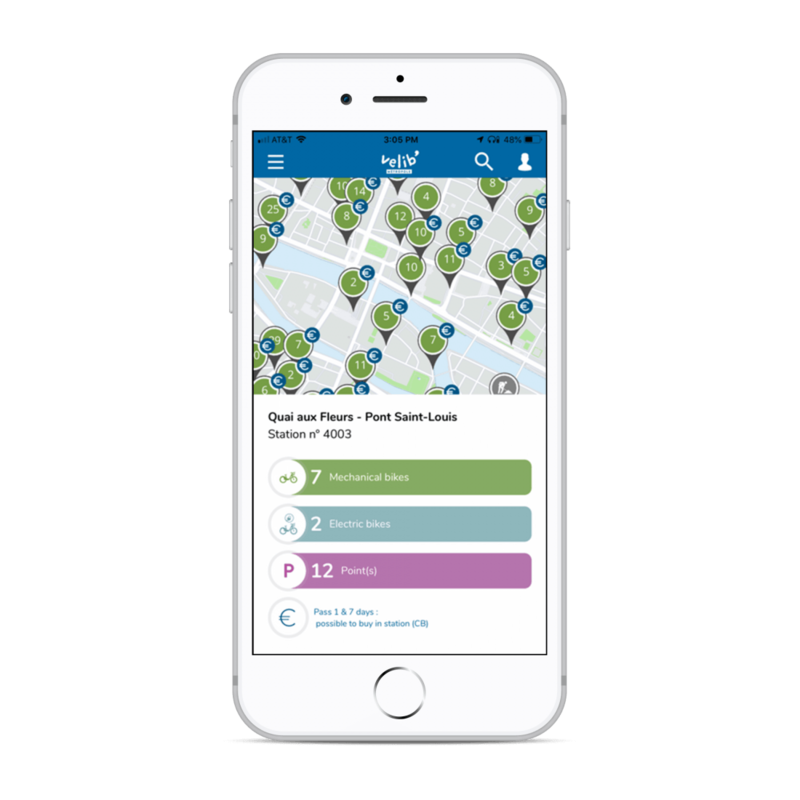 Open the Velib Paris app and select “Hire a Bike” at the bottom. 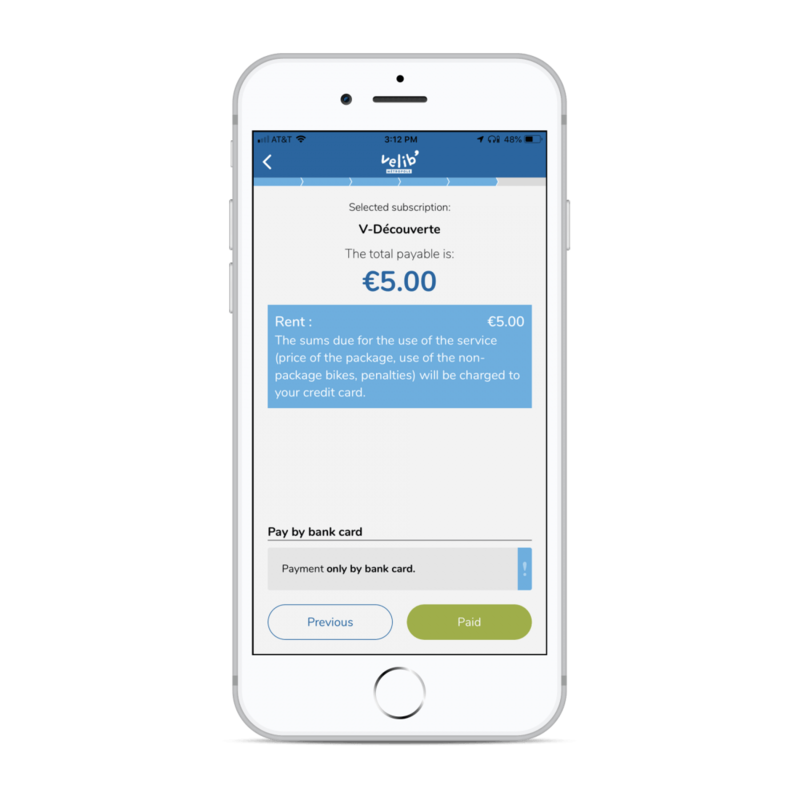 Select ” Pass 1 & 7 days” at the bottom by the Euro (€) Sign. 4. Select the number of bikes. 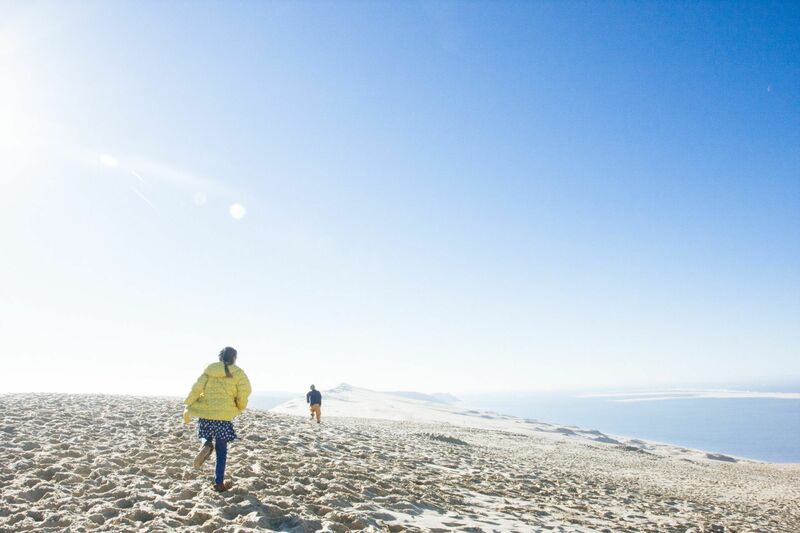 You can rent up to 5 at a time on one account. Your hold will be $600 for more than one bike). 6. Fill out your personal information. 7. Pay for your Velib Rental with a credit or debit card. 8. 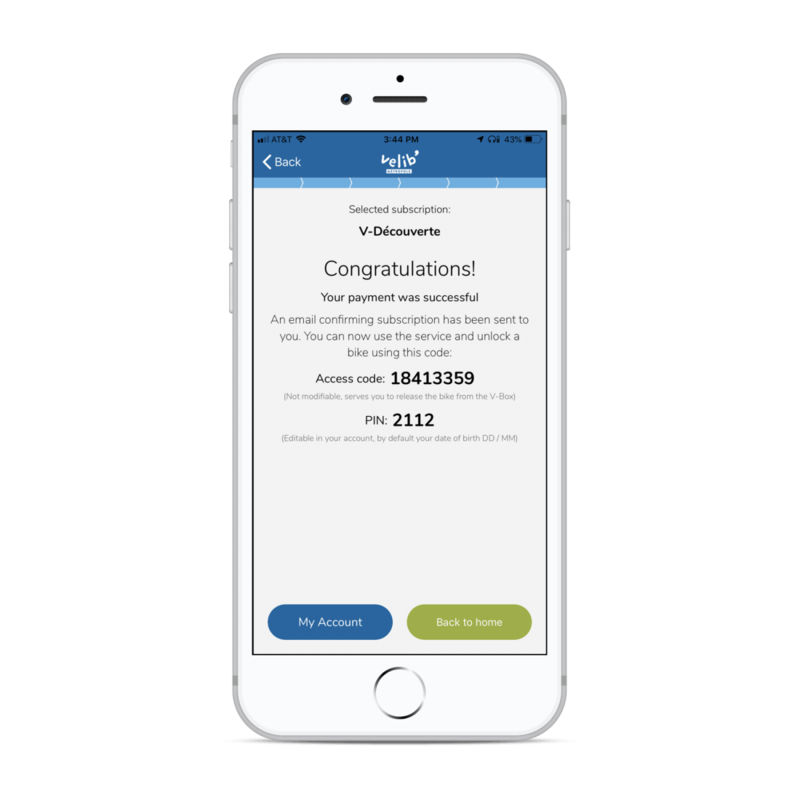 Once you pay, you’ll receive your ACCESS CODE and PIN numbers. These are the numbers you will use when you pick up your bikes. Once you’ve signed up for your 1 day or 7 day Velib pass you can find a Velib station on the app. There are hundreds of Velib stations all over Paris and the stations are around every 300 meters so you shouldn’t have trouble finding one near you. They will usually be full of blue and green bikes. 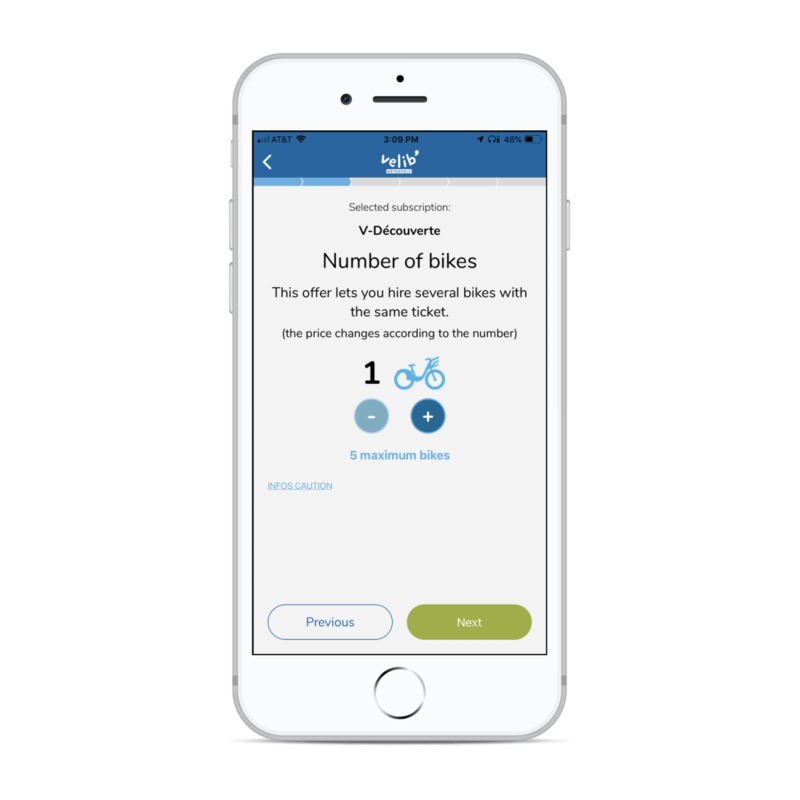 The Velib Paris app will show you exactly how many bikes are available at each Velib station. 2. 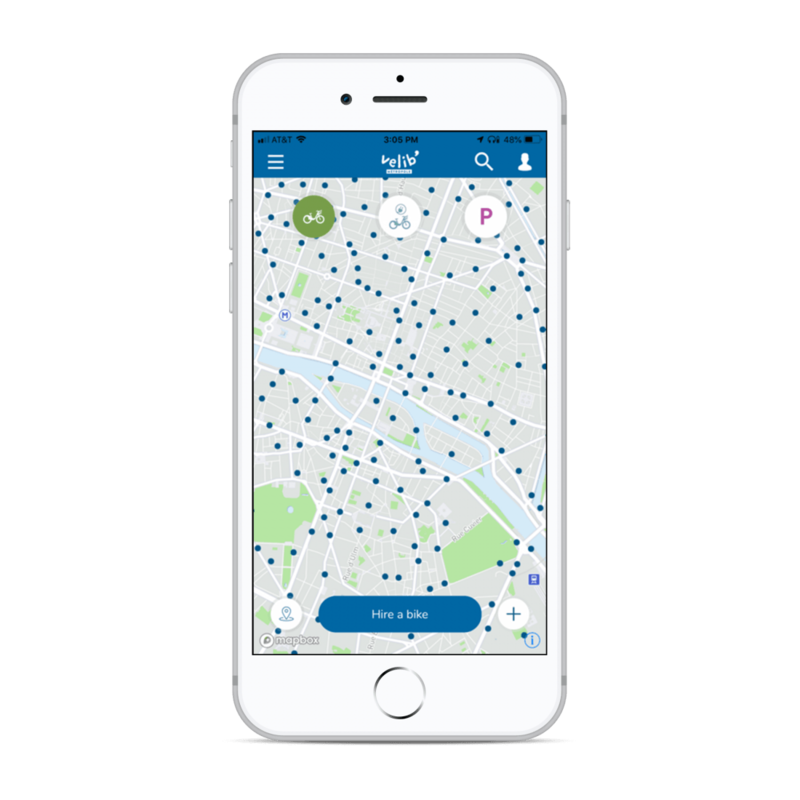 Find your nearest Velib Station and pick your bike! Know the Neighborhoods: When you’re biking Paris it’s important to know your way around. 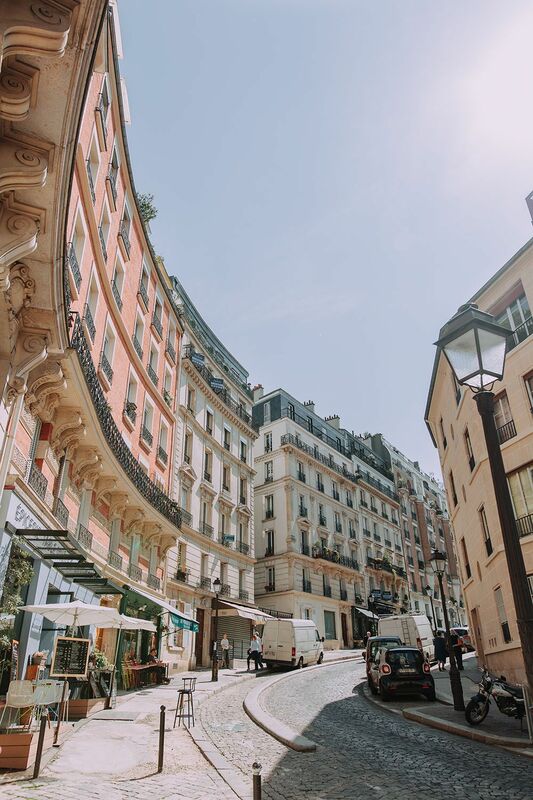 Paris can seem like a labyrinth, but it’s actually very logically laid out in a spiral pattern divided into sections known as arrondissements. Thankfully, many street signs in Paris have the arrondissements on them as well, so you should always know where you are. To learn more about the layout of Paris and what to find in each arrondissement, read my Paris neighborhood guide. 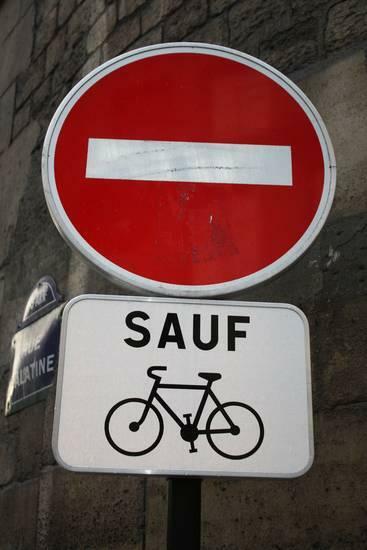 Bike Lanes: Paris may not be the best at bike lanes, but they do exist! Try to stay in them! 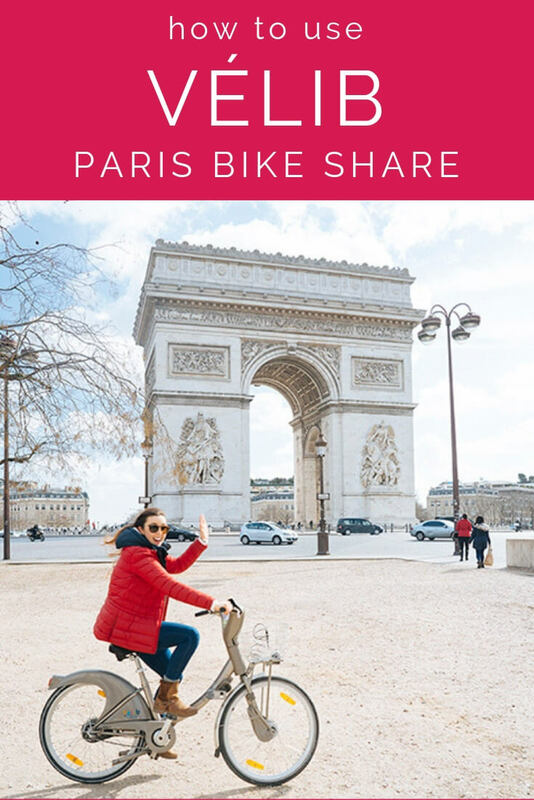 If you need more help learning how to use the Velib Paris Bike Share program, you can watch the video tutorials on the Velib site. 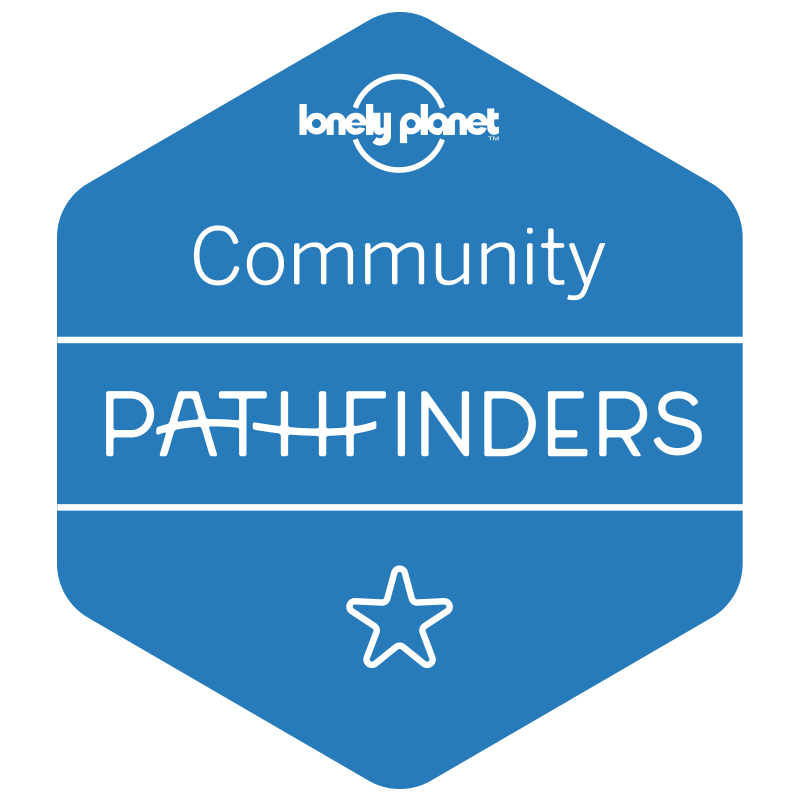 Most of them are geared for pass card holders, who have a card to unlock the bikes though, which is why I wrote this step by step guide! I hope you have an amazing time cycling in Paris. If you have any questions about the Velib Paris bicycle rental system, please feel free to reach out! You can comment below or find me on Facebook or Instagram. 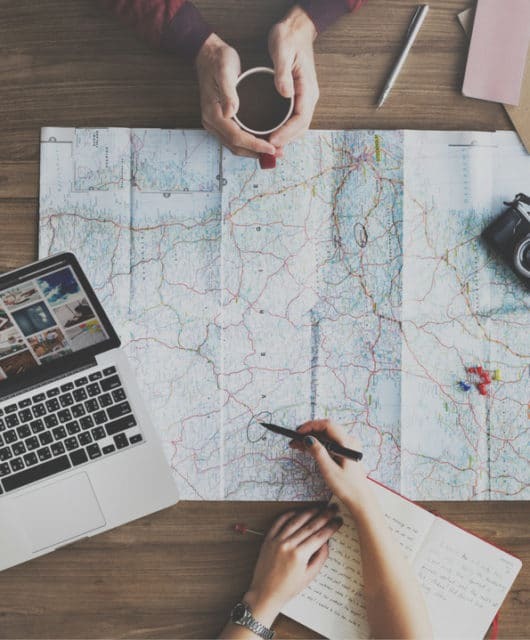 Can I Stay in Europe More Than 90 Days?